What Trees are will be Cleared from White River? We’ve had lots of questions regarding what trees are being removed on White River and along Riverview Dr.? 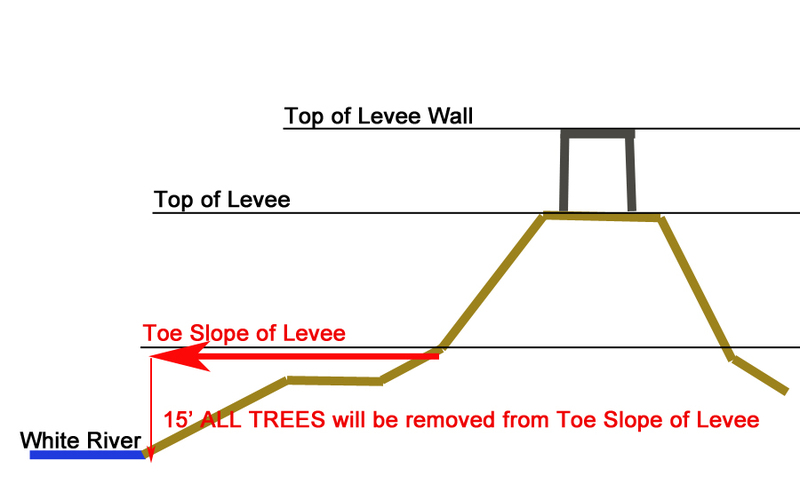 As I understand it, ALL trees, roots, trunks (EVERYTHING) will be cleared 15′ from the levee toe slope going towards the White River. So if you take a walk down the levee, not very many, if any trees will be left. There is an informational meeting this Thursday, December 11, if you have questions or concerns, show-up THIS Thursday, December 11 at 5pm. I don’t know if it’s too late to voice your opinion, but you never know.